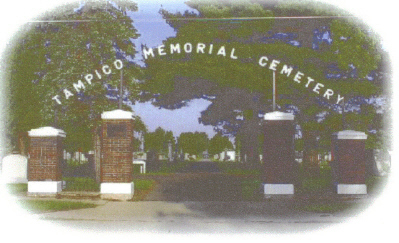 The Tampico Cemetery Association was organized in 1883. Land was purchased a few rods north of the village and a cemetery laid out, which is rapidly being improved by planting evergreen trees, flowers and shrubs. Previous to this time, the remains of those who died in the village were interred in the buring ground one mile south. This list was originally compiled in 1999. I am in process of updating & revising (2010).